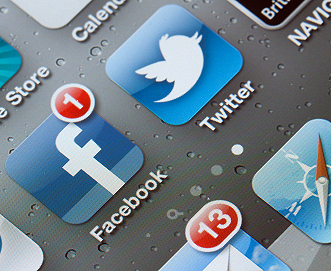 Millennial Marketing Quest: Facebook or Twitter? Are we asking the wrong question? We are in the midst of a transitional shift in marketing. The Baby Boomers are retiring at a rate of 10,000 per day (see New Year, New Business Changes). For all of the marketing efforts that were geared towards the Boomers, many businesses are trying to figure out how to make a shift to market to the Millennials (age 19-35) who make up about 23% of the population in the US. There are some common questions that my customers ask me: Should we have a corporate Facebook (FB) page? Should we be tweeting on Twitter throughout the day? What is the best way to tap into the huge Millennial Generation (over 70 million of them) that is seizing the marketplace? We may all be asking the wrong questions when it comes to Gen Y. It appears that all of us are hung up on the tools and have ignored the methods. This really is not anything new. Time and again, tools of communication have supplanted one another. The Pony Express was a great way to deliver information until a better tool came along: the railroad. It might take 1,000 horses with riders to deliver as much mail as would fit in one boxcar. We have always liked it when technology offers tools that are more robust, cheaper and more convenient. However, the question is not one of tools, it is one of method. The Pony Express and the railroad did the same thing: they delivered the mail (i.e. letters) across great distances. Letters were the method of communication. The method of communication with Gen Y is electronic messaging. Facebook and Twitter are tools to do this. Before Facebook took the mantel, MySpace was the social networking site of choice. There will be another tool that topples FB from its high perch one of these days. The method of communicating with Gen Y, however, will always be electronic. It is their handwritten letter of years gone by. So your marketing must also make a shift away from one method to the other if you are going to reach the Millennial demographic regardless of the tool. There are other differences besides the method of delivering information to Generation Y that you should consider when marketing to them. Who endorses a product or service is very important. For the Boomers, if you can get a cultural icon to pitch your product, you can sell the entire group. If Michael Jordan wears Hanes underwear, they are good for all of us to wear, right? Another endorsement tactic that worked well on Boomers was the "trusted group” stamp of approval. "Choosy mothers choose Jif.” "Four out of five dentists recommend sugarless gum for their patients who chew gum." The difference with Gen Y is that they believe that traditional advertising is not to be trusted and pitchmen are simply paid to say whatever is put before them. Michael Jordan could just as easily be pitching Jif peanut butter and choosy mothers could be wearing Hanes underwear. They have a point. The people Millennials trust to endorse a product is the people on their "Friends” list. If you can convince their friends to like your product, you stand a good shot at selling them as well. They believe in their own authority to pick and choose the winners and the losers. They expect their voice to be heard over any paid pitchman. This is where a social networking tool can help you. If you can ride the wave of viral marketing and give them an affordable way to try your product (another Gen Y trait – they want the best at little to no cost), you will have a good shot at selling them. One more bit of truth about marketing to Gen Y: if it is not funny, green, or interactive, you have missed the mark with this group. They want to have fun in all areas of their life. What is the most common type of posting on YouTube? Humor reigns. You have to insert laughter into your advertising or you will not hold the interest of Gen Y. The same is true of being environmentally friendly. You should seriously consider making an environmentally friendly statement as part of your marketing language on your web site and your products. There is no place for a company who pollutes the earth in the collective mind of Gen Y. You also need to consider ways you can involve them in an easy and engaging way. For instance, Proctor and Gamble has a web site set up for mothers of babies using their Pampers line of diapers. Pampers Village is an interactive web site where mothers can ask questions, get advice and receive members only online coupons. It is full of members’ advice (I read a Q&A entitled "My mother-in-law is obsessed with my daughter – what should I do? It received 4 out of 5 stars from readers.) There are a variety of tools you could use to get this kind of information into the hands of a Gen Y target market. There is an expectation that you must meet if you are going to market to Gen Y successfully. You must fit them instead of expecting them to fit you. The shift in methods has emerged. Are your marketing methods making the transition?